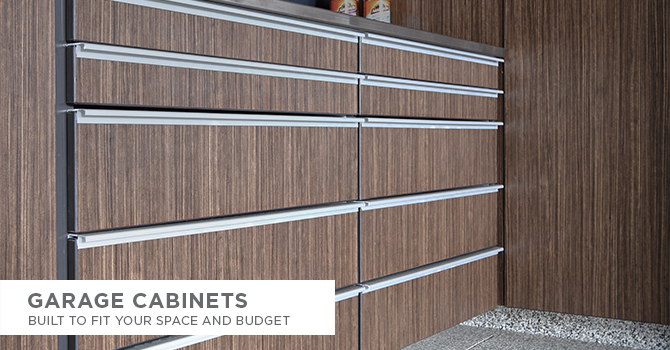 The bar and hooks integrate into a wall-mounted shelf. 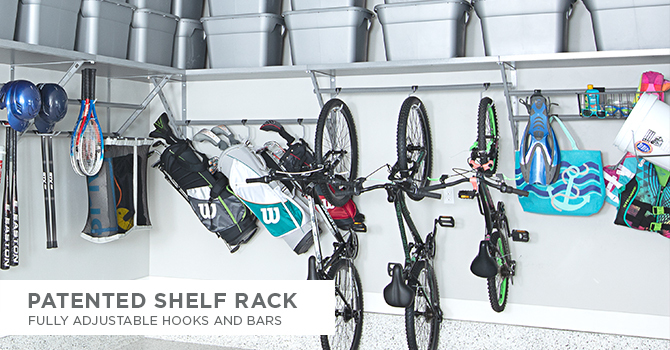 This 2-in-1 shelf-rack design conserves space while providing maximum storage. 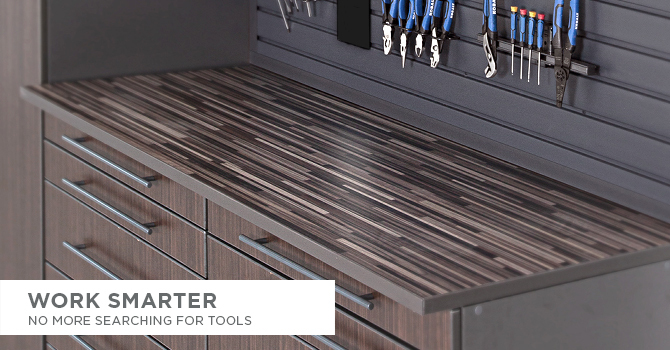 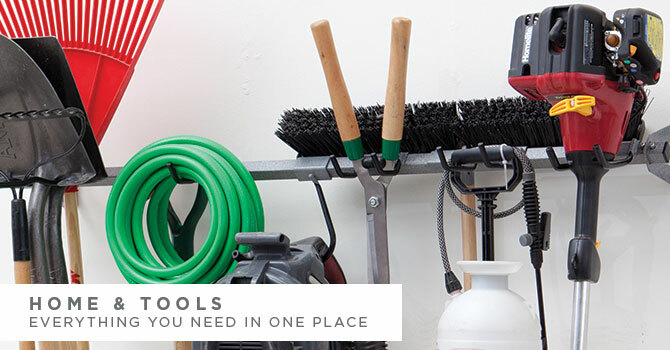 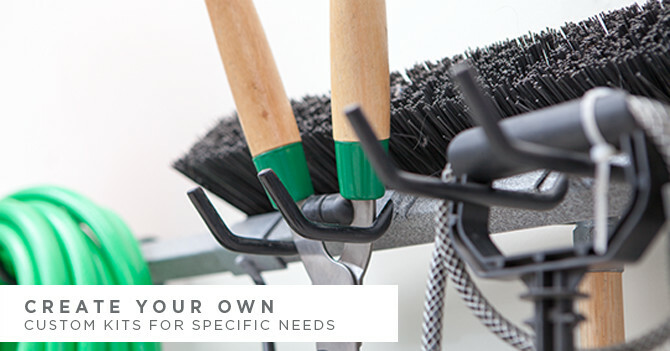 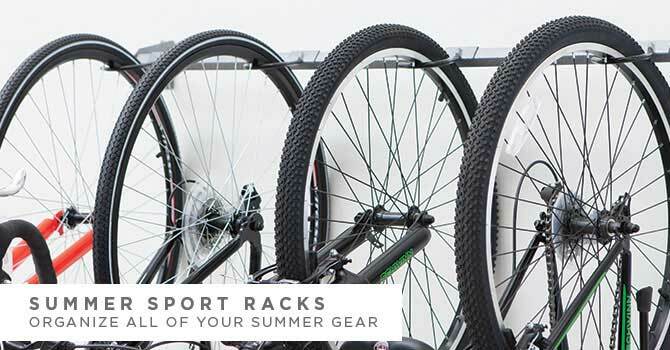 The fully adjustable bars and hooks were carefully engineered to allow you to store a wide array of items from brooms to bicycles and everything in between. 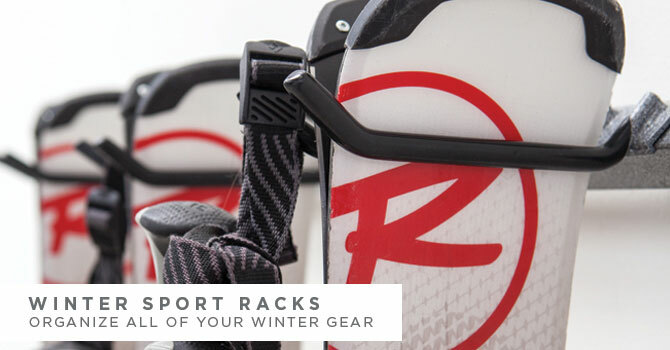 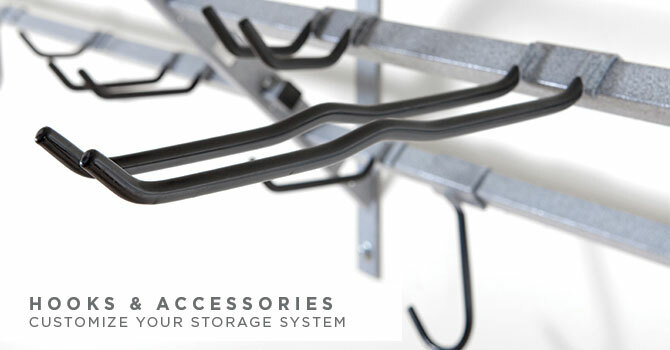 The Monkey Bars garage shelves and racks are designed with fully adjustable hooks and bars. 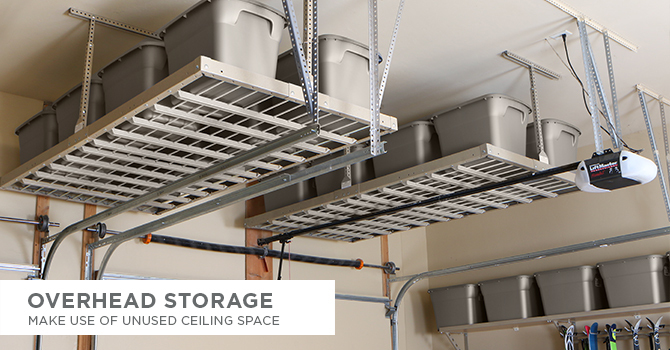 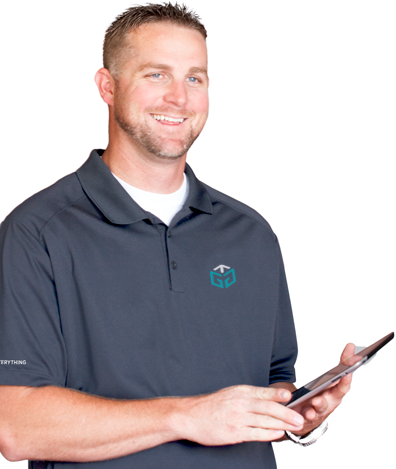 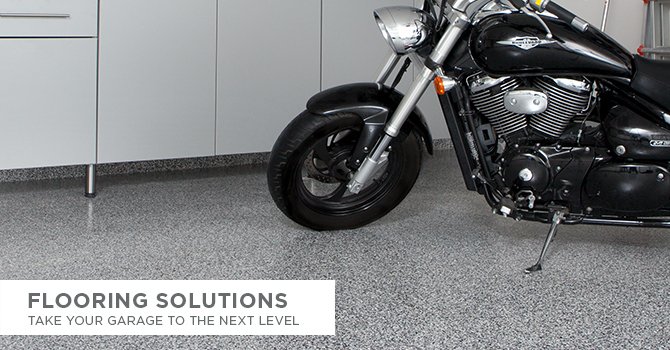 With the ability to easily be changed and rearranged, your system will easily adapt to your changing storage needs.